Replace an inefficient Halogen or incandescent recessed light in your home with this energy-efficient LED recessed retrofit trim featuring a dropdown, pivoting spotlight. 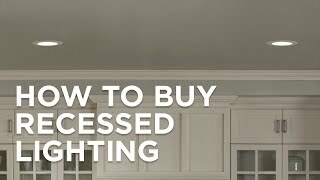 Spend less on electricity by replacing inefficient Halogen or incandescent recessed lights with this white finish recessed LED trim. Highlight art, plants or indoor fountains, direct light to specific areas or to an interesting architectural feature. Pivoting head drops from flush with ceiling to nearly perpendicular for even greater adjustment. Use in new construction, or in remodels with an existing 4" housing. Comparable to a 50 watt Halogen but consumes only 7 watts of electricity. LED pivoting, dropdown spotlight recessed retrofit trim. 450 lumen light output, comparable to a 50 watt Halogen bulb. Dimmable with most standard household dimmers. Head pivots 90-degrees, drops down to nearly perpendicular. 2 7/16" high housing without dropdown. 4 3/4" high with dropdown rail. 4" remodel LED recessed light housing. Air tight. For use with LED retrofit trims. Includes connector for supply wire connections. IC rated. Plug-N-Play quick connect for easy LED retrofit installation. 120 volts. Adjustable bracket for easy installation. Title 24 compliant. 5 1/2" high. Opening is 4 1/8" wide. 4" new construction LED recessed light housing. Air tight. For use with LED retrofit trims. Includes connector for supply wire connections. IC rated. Plug-N-Play quick connect for easy LED retrofit installation. 120 volts. Adjustable bracket for easy installation. Title 24 compliant. 5 1/2" high. Opening is 4 1/8" wide. Customer wanted to use an existing recessed light, for a wall-wash. Fixture too far away from wall for normal, 30 to 35 degree tilt found in eyeball trims. My only concern is that spot may be too narrow, but couldn't find flood. Does the light also rotate? BEST ANSWER: Yes - this rotates as well as pivots up to 90 degrees. The light does rotate, along with having a vertical range of motion. We used these to highlight some built-ins, and were very pleased with them. The color scale is similar to a halogen bulb, but with all the benefits of an LED. I hope this helps. Does this unit Screw into existing socket or is it hard wired? BEST ANSWER: It comes with a short wire that it thredded and screws straight into the socket. The unit itself has two arms that flexes and can be bent to grip into the ripples inside rhe reflector. Very easy and painless install. Make sure that you buy the 115/120V LED. There is another model that has a Halogen bulb that emits a lot of heat. The fixture screws into the existing can socket, and puts out a great deal of light. We recently used them to highlight an area of built-ins and were very happy with them. These should work out perfect for that. I have 75 watt spots now in what i believe are 6" cans can these be retro fitted or is there a 6" option? BEST ANSWER: The 6" trim option 39342. This is a retrofit trim that can be used with a LED bulb. 120 volts or 12 volts? BEST ANSWER: Hi - this design features built-in LEDs, so there is no bulb to replace. Your answer directly contradicts the two previous answers (below), from July 6. What is the TRUTH? Hi - we double-checked on this and the LEDs are built-in. The design does not use a removable bulb. BEST ANSWER: The bulb itself cannot be replaced. You would have to replace the complete trim. What lamp does this fixture use? BEST ANSWER: This light uses a medium base high-power 7 watt PAR LED bulb. BEST ANSWER: Yes, this is a UL Listed design. This indoor damp location rated LED retrofit module by Cyber Tech gives off 650 lumenscomparable to the light output of a 50 watt incandescent bulb.